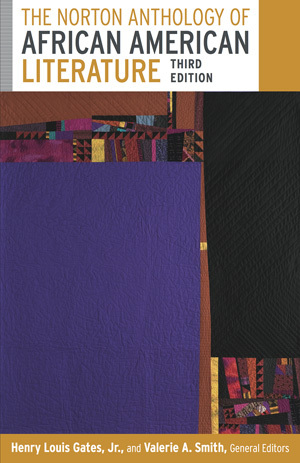 More than seventy poets are represented in this innovative new anthology of African American poetry since the 1960s. 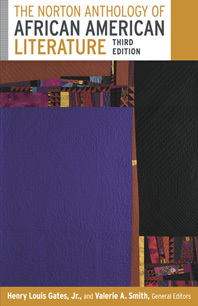 An exciting revision of the best-selling anthology for African American literary survey courses. The much-anticipated Third Edition brings together the work of 140 writers from 1746 to the present writing in all genres, as well as performers of vernacular forms—from spirituals and sermons to jazz and hip hop. Fresh scholarship, new visuals and media, and new selections—with an emphasis on contemporary writers—combine to make The Norton Anthology of African American Literature an even better teaching tool for instructors and an unmatched value for students. The Third Edition continues to provide “a course in a book,” with 13 complete longer selections, including 7 new works such as Toni Morrison’s Sula, Suzan-Lori Parks’s Topdog/Underdog, and Nella Larsen’s Passing. In addition, the Third Edition adds 7 new contemporary writers: Barack Obama, Suzan-Lori Parks, Edward P. Jones, Elizabeth Alexander, Natasha Trethewey, Kevin Young, and Tracy K. Smith. This new companion website includes an embedded playlist with over 100 full-track recordings: spirituals, blues, jazz, and spoken-word, all conveniently available to students for outside-of-class listening. The website also provides access to YouTube performance clips of archival film, speeches, and music videos for songs featured in “The Vernacular Tradition”); images from the book; additional performance images from pop culture, theater, television, film, and musical performances; and quizzes and short- answer questions on frequently taught literary works in the Norton Anthology. Over 60 black-and-white illustrations and 40 color plates enrich and contextualize the selections in the book. And the Instructor’s Resource Disc features over 50 audio recordings accompanied by Robert G. O’Meally’s liner notes and all of the art from the book and the StudySpace website. Available for the first time as a two-volume paperback set (volumes may also be ordered individually), the Norton Anthology remains a great value for students: it gives students access to a wealth of literary works supported by Norton’s trusted apparatus, as well as to extensive media resources. And, to make it an even better value, instructors can package any Norton Critical Edition with the two-volume set or either individual volume at no additional charge.